When a serious injury or wrongful death happens due to an amusement park accident, a thorough investigation needs to be conducted. 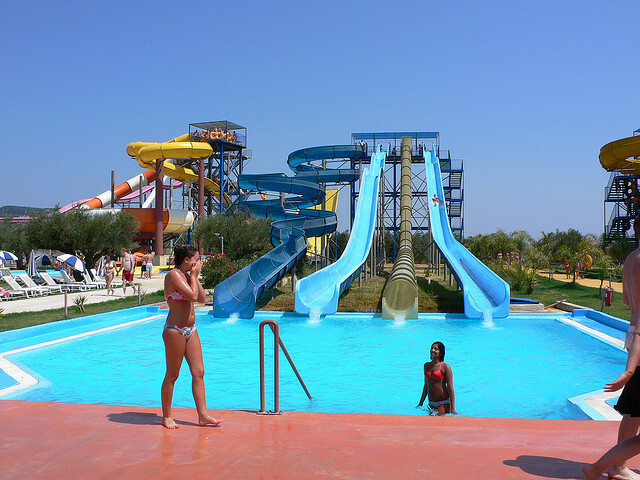 While amusement parks, including waterparks, have plenty of insurance and plenty of lawyers to protect them when accidents arise to keep the blame away from them, having your own personal injury lawyer can be essential to the outcome of your case. Having good legal counsel in your corner can help you you recover the rightful compensation you need. Kentucky Kingdom’s Hurricane Bay is currently the subject of two lawsuits alleging that staff allowed customers to use the wrong inner tube for a certain water slide. Two patrons have come forward and filed suits against Kentucky Kingdom for injuries that occurred after falling out of the slide. The lawsuit claims that improperly sized inner tubes were the culprit in these two cases. Both allege they were given “the wrong size inner tubes,” which resulted in them tipping over and becoming injured. It’s not entirely clear which ride the pair were on when they were injured, but the lawsuit clearly states that they blame Kentucky Kingdom and its staff for their injuries. One of the injury victims suffered a shoulder injury after the fall while the other suffered a head injury “which causes her seizures,” according to reports. If it can be demonstrated that the Hurricane Bay ride’s operators were in fact negligent in giving the two individuals the wrong-sized inner tubes, Hurricane Bay could be found liable for the injuries that resulted. Negligent operation of rides as well as the improper maintenance of a ride are quite common ways for theme parks to be found liable in these types of cases. If you or a loved one was injured at an amusement park or water park, a Florida Amusement Park Injury Lawyer at Whittel & Melton can help. Our team of attorneys work with experts to determine exactly how the accident happened. Additionally, we enlist the help of medical and financial experts to document the full scope of injuries, the long-term consequences and the full financial costs associated with an amusement park accident. Amusement park rides and water slides must be designed properly, regularly inspected for maintenance and stay under close supervision in order to prevent accidents. When something goes wrong on these rides, the resulting injuries can be life changing. Contact us today for a free consultation. You can reach us statewide and toll-free by dialing 866-608-5529.